Climate Smart Glacier Country salutes the Whitefish School District for leading on sustainability. 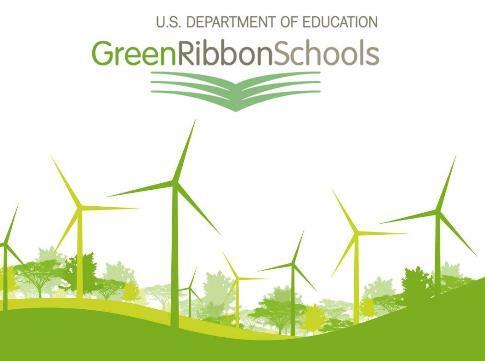 For the first time ever, a school district in the state of Montana was added to the roster of the nation’s Green Ribbon Schools. The news was announced by the U.S. Department of Education this May. Only nine school districts across the country made the cut. The Whitefish School District’s wholistic approach to sustainability is shaping many school operations and practices, ranging from health and wellness learning activities to switching to reusable lunch room utensils. Middle school students under Chris Holt led the change to becoming an idle-free zone for cars and buses. Fourth graders are responsible for collecting the school’s recycling materials, and high school students use GIS for projects related to stewarding the environment. Kids in Whitefish are even working on watershed restoration. The district and the students share an ethos in sustainability, they say. Their mantra — waste not, reduce, recycle, reuse. As part of the effort to save on operating costs and protect the environment, school facilities will be using less energy for heating thanks to diagnostics provided by Flathead Electric Cooperative, with coordination by Energy Corp member Rachel Sussman. Practicing sustainability and changing an organization’s behavior — walking the talk — offers excellent hands-on learning opportunities in science, civics, economics and organizational change. Students’ learning about sustainability is integrated into the standard curriculum for all of K-12, and teachers with expertise in special topics participate in designing lessons. 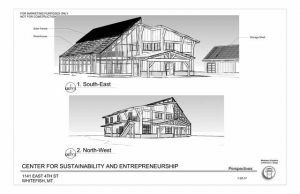 tion of geothermal and solar power, making it the first zero-net energy building in the state. Another first. A production garden, an orchard, an experimental forest ecology, and native meadows will surround the center. Students in all grade levels will learn by doing projects in the center and caring for the land. Ryder Delaloye, director of curriculum and instruction, says the green house and the orchard will produce food. Now that’s locally sourced.